Today is the last day these are available. Their only available with the hard copy purchase. NOT A DIGITAL VERSION. The below first Eat Dirt Post has this same link in it. I’m just trying to help in case you missed that. Again, If you fit the type of person this book is ideal for (which I previously said who that is. ) The Bonuses are defiantly worth getting. which I previously said who that likely is. Here is the page for the Eat Dirt books, trailer. About assisting people to live their best lives. 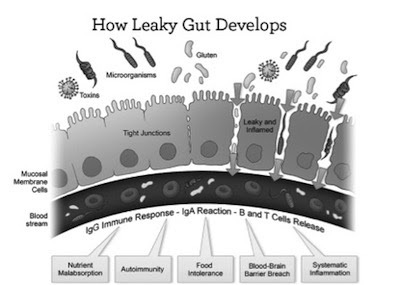 Despite intestinal permeability/Leaky Gut issues. Keep in mind. If you watch/listen to many of the free conferences. There will be cross over in it’s content. And It’s NOT all catered to someone with MCS, SPD, and Roscia. This post is shared here and written from Trudy because I don’t have the book yet. This book is to help address intestinal permeability problems, among others. This issue sadly most MANY of us have. I trust it will be very good. And Joshua Axe is one of my main Health coach/Wellness instructors. However, I can’t recommend this to those with SPD, Mold toxicity patients, Roscia, with an active Sensitivity to everything. Or those with MCS. Not because it won’t help them. But, because of other reason’s. If you are NOT one of those people. I suspect it will be excellent. After I review it (And I ordered it, It will be here on Thursday). I will post again about it. The bonuses are only available with the hard cover version. There is also, a kindle version for about 5$ less. I recommend buying it on amazon. See My note below if you defiantly can’t afford it. Click here to go to the blog post to listen to the audio. If you no longer want to receive these mailings feel free to click the unsubscribe link below. We hate to see you go and once you unsubscribe you will no longer receive any more emails from us. NOTE to blog readers- If you can’t afford this. No worries. The highlights from this book are elsewhere. For free/cheaper. If you care to organize them yourself and do your own research and contemplation with my blogs/ these free conferences assisting you. Today, and over the past couple days I was told of the following details, from a blog reader (named Afsaneh).Who was interviewed for NJTV. Interviewed buy Mary Alice Williams on her Eating Disorder past. This show will bring Eating Disorder Awareness more alive and will air at . She is one of the people interviewed in the news video. The only person interviewed who previously had 1-3 traditional forms of an Eating Disorder. And who prior to entering an Eating Disorder Unit (otherwise known as the EDU)was actually placed in a different part of the same hospital. It will be aired first at 530 pm EST on PBS today. Friday February 26th. Then on at the same day at 6, 7:30, and 11 pm on the NJTV news station. It will also be on NJTV at 6:30 am on Sat February 27th. However, you can also view it live (And likely after the 5:30 pm airing) on the NJTV News Channel/feed on utube. I might add it to this post later. If you have a Traditional Eating Disorder, I certainly recommend you get help for it. That certainly does NOT mean I recommend the hospital’s EDU that she attended. Or in all cases even an inpatient program anywhere. However, if you don’t have much or any other diseases, or disabilities. I do recommend some programs that specifically address Eating Disorders. NOT mental health units in hospital like settings. Nor do I feel programs like that EDU, address people with ALL kinds of traditional eating disorders well . Regardless of if we are talking about an inpatient or outpatient program. Buy searching on utube Mary Alice news. You can listen to the live interview. Or see the recorded version of it. I have researched and spoken to in the past, places that serve eating disorder patients. And knowing about the realism of these conditions can be very important, especially for those who have it. Which can start on average as early as ones teen years. While I seriously hope you don’t have one. If you do. Or someone you care about does. You should defiantly check out the Functional Medicine approach to them. As long as you follow the criteria of who needs this conference below. There are some major important differences between how a functional medicine practioner or program will work with you. Vs. A conventional medicine route in aiding someone with it. And I know at least 1 of the speakers specifically is trained in ADHD and LD counseling with food as well.! One of my categories is “All” on this post because many people who don’t have it. Could learn about them. To bring self awareness to this specific community (ties). I have only once seen this topic for the free online conferences so, take advantage of it while it’s avail. I haven’t heard most of these speakers before so I can’t say much there. But, that doesn’t mean much. If your an aspie (or anyone else) with great self awareness, is emotionally healthy and stable with or without meds and have a high desire to learn the content to help others. Your then a good if not great fit for this conference. If your NOT all of that and don’t have a traditional eating disorder. Do NOT sign up for this conference. I highly recommend people with any of the following DON’T attend. I guarantee you if you have any of the following unless you ALSO have a traditional Eating Disorder (which you may) Same idea if you have eating differences due to SPD, legit food sensitivities, ADHD, Gluten Intolerance, Gluten Sensitivity, PDD-NOS, picky eater’s (Unless perhaps they have VERY poor basic blood work. Showing several nutritional defiancies often. That CAN’T be fixed via a small number of supplements max.) ASD, Roscia, Diabetic, IBD, IBS, Colitis, Chron’s, Celiac, Chronic inflammation, Bipolar, auto immune conditions, Chronic Constipation, food intolarances, or food Allergies. No official diagnosis’s are needed to count for the exclusion. Just accuracy of what you have is what is Important. Most of the above diagnosis’s are very infrequently if ever seen in people with Eating Disorder’s. Another words, A small number of people with any of those above diagnosis’s can have people who ALSO, have eating disorders. People with Diabeties, depression, bipolar, perhaps food allergies, Chron’s, and those with auto immune condition’s are those who could have BOTH. NONE of the diagnosis’s above however are Eating Disorders. A fitness obsessed type of person, Even though this one unfortunately is only now starting to appear more now. The reasoning behind the explanations above should be clear. But, in case there not. Traditional Medicine combines Disordered Eating which is anyone with ANY of the above unless you are a perfect weight. As someone with an Eating Disorder. Isn’t that CRAZY!? I know, right? Functional Medicine partly exists for that exact reason. To say that that is NUTS! Wanna know what else they think? Click here! Click Here! And don’t forget to tune in November 2-6th ! If you want more on this conference from me there is 1 post on my nontoxic4us blog about it also. Now that I know allot more about this Summit. Although a couple-to some of the experts have worked with thin anorexics. This Summit won’t serve this population of of people with Eating Disorders (or ED). However, many, if not most in person eating disorder Clinics/Hospitals/programs specialize the most in thin patients with Anorexia. (Even if they allow people with other types of ED) . Tomorrow, this conference will allow it’s signed up attendees to hear ALL the talks. As well as access to all the bonuses and speaker’s websites for one last time for free. The video’s sometimes stop before they end. And you have to restart them again. But, if you pay attention enough you can fast forward to where it stopped. Also, some of the speaker’s don’t go into much detail most of the time. And that makes some of the talks less valuable, in my opinion. Also, the ones I’ve heard the content for are super simple/basic for the most part. Which I guess could be good if you need that. My educated guess would be the other speakers I haven’t heard/watched. Would follow the same suite. If your looking to work with someone ONE ON ONE.- Also, not all the speaker’s work in a Functional Medicine setting. So, some of there mindsets/beliefs (Or there colleagues) maybe somewhat undesirable/unneeded for your specific situation(s). Especially if you have food intolerances/Sensory issues/sensitivities/allergies/ or another condition that requires eliminating certain foods. So, if that’s the case. You may want to proceed only with a two way interview first. If you have a social based neurological or neuro-biological issue more then 1 interview of sorts may informally be acceptable. (See in three sentences who more specifically qualify as such) And you are super aware of what you do and don’t need. And are able to communicate them. Aspie, NV-LD, ADHD, PDD-NOS, SPD, Executive Functioning issues or the like. However, if you are super aware of what you do and don’t need. And aren’t a weak communicator or self advocate. With a decent amount of self-motivation, and interest in self-teaching. There’s a great chance you want need 1 on 1 counseling with a health coach/ dietician, especially.